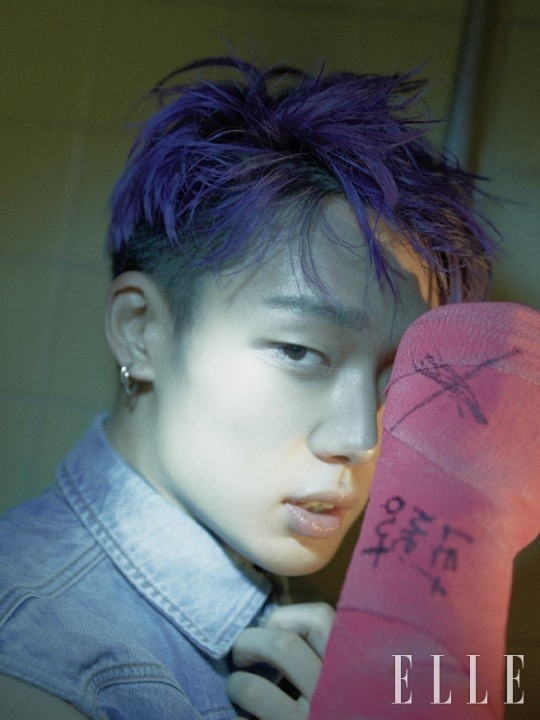 Maintaining his fashion icon status, Bobby of iKon brought his unique swag and style to the September issue of Elle. The photo spread, made public Wednesday, features the artist in mysterious purple hair and vibrant fashion-forward streetwear. Another photo features the artist in a baggy yellow jacket, a colorful cape fluttering over his shoulders, recalling a scene from a movie. 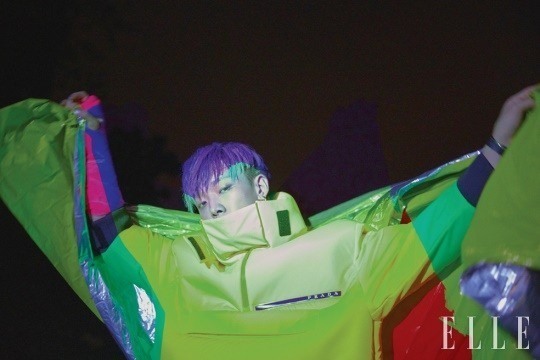 It has been reported that the iKon member showed great passion in picking out his own outfits for the shoot, opting for a wide range of styles including high-fashion brands and street looks. The seven-member band released its “New Kids: Return” EP on Aug. 2, and wrapped up its “iKon 2018 Continue Tour” on Saturday at Seoul’s Olympic Park Gymnastics Stadium.